Chihuahuas might be small, but for what they lack in size and leg length, they make up for in spirit. This spirit can make them hard to train, but it’s because they have a lot of spirit and stubbornness bred in. 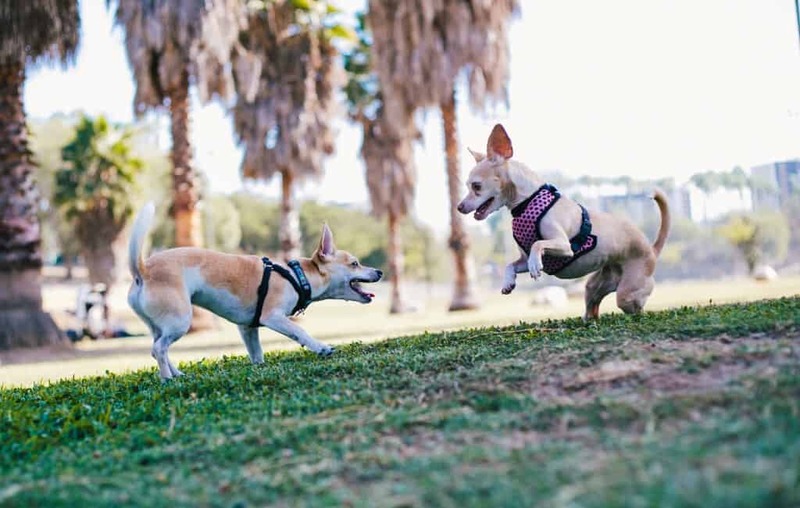 Some Chihuahuas can get aggressive at times- especially in regards to food aggression, or the “fight or flight” instinct. Most of the time, your Chihuahua will be your best friend. 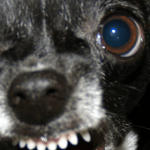 But when it comes to food aggression, Chihuahua dogs struggle. They want to make sure that they’re getting their fair share, and that they’re keeping everything to themselves. 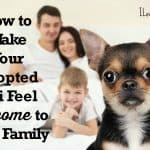 After you understand these factors, you can just treat them like a regular dog. Dogs are creatures of habit and that will work in your favor. Try feeding your chihuahua at specific times of the day to avoid having food around all the time. Food aggression can sometimes be nipped in the bud with a little structure. If your dog does something wrong, ignore it. Chihuahuas are harder because they’re so small. If you’re having an issue, put them in their crate, or in a separate room. Avoid scolding or hitting your dog, because all it does is make your pet more sensitive and scared. The most powerful training device you have at your disposal comes in an industrially sealed and packaged bag- called treats. Don’t be overly generous; just a tiny tidbit of a treat will do. 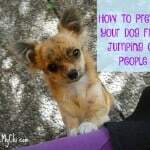 Try interrupting your Chihuahua dog’s food aggression with a command such as “Stop” or “Settle”. If they are friendly and submissive, give them a treat for doing the right thing, thus reinforcing it in your animal’s mind. 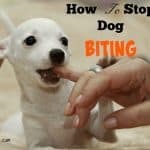 While your dog is eating, take a treat you know she likes, bend down slightly and hold the treat a few inches from her face. When she takes the treat, turn around and walk away. Repeat this several times throughout her meal and do this at every meal for several days and see if this lessens the aggression. 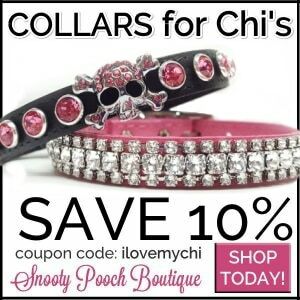 Just because your Chi is small doesn’t mean he/she doesn’t need to behave. Giving your dog commands is a sure way to ensure that you can get him or her to behave when you’re feeding them. Issuing commands helps them remember what’s important- you (the Alpha)- so that you can do what you need to do without being overwhelmed by their excitement. 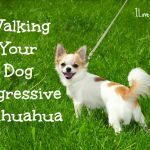 Try telling your Chihuahua to sit, stay, and lay down as soon as possible, giving them treats to reinforce doing the right thing. 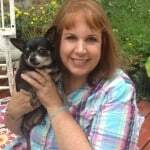 Avoid scolding your chihuahua or being overly critical. That can make it worse. Sometimes the reason that your dog is so protective of its food is because it’s never around other dogs. 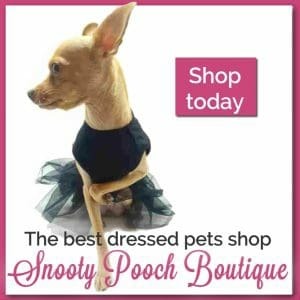 Take your dog to places where it can smell other dogs and people, and give your pet rewards for being sociable. 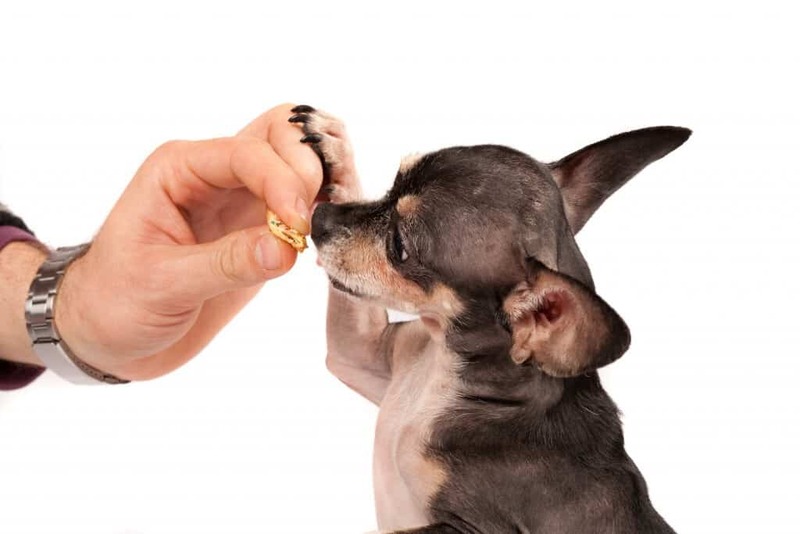 Remember that a calm and friendly Chihuahua always gets rewarded for its actions. 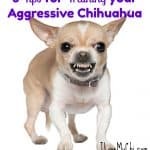 Don’t assume that you’ll always have to deal with food aggression with your chihuahua. It takes a little bit of focus and determination to put your puppy’s problem to rest. No matter how old your dog is, there’s no reason that you can’t teach it to behave better. 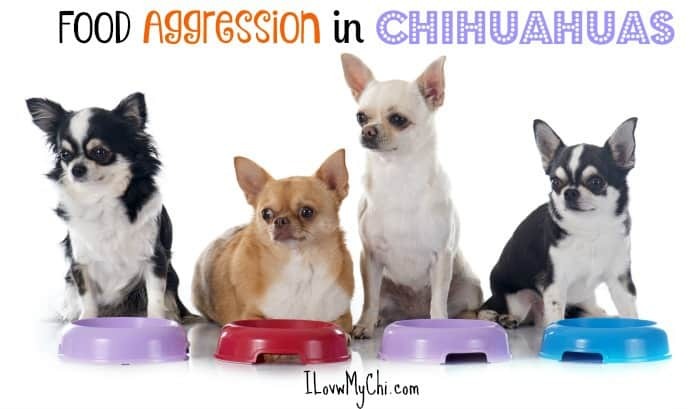 Do you deal with food aggression with your Chi? Have you found any good ways to deal with it? Please share your experiences with us in the comments!